The Condo Syncro Tactical Gloves are designed for the modern operator. Constructed out of premium goatskin leather along with TouchTec Nanotechnology. The TouchTec leather allows the use of tactile technologies without skin contact. Dupont Nomex Fabric is constructed throughout the glove for flame resistance and flash protection. These flame resistant fibers provide peace of mind in harsh environments. The three dimensional weaves provides for a more comfortable fit and durability. 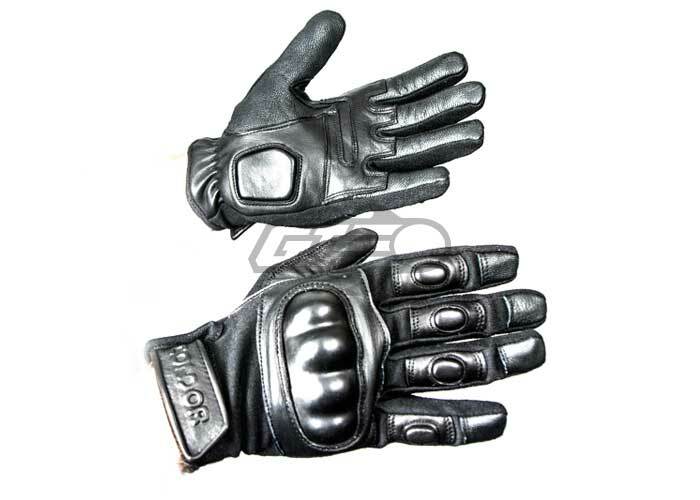 the Syncro glove was weaved to include gussets for better air ventilation and a longer lasting construction. The adjustable cuffs with hook and loop offers quick and easy adjustment for the user. Lastly, the reinforced padding in critical areas offer extra protection such as the plastic insert for the knuckles and close cell foam for fingers and the palm. These Syncro Gloves come in a black finish and are a great way of protecting the vulnerable parts of your hand from impacts.